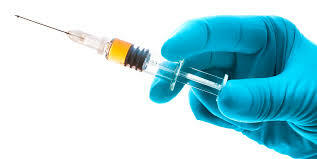 Home » Alternative News » The Great Vaccine Fraud And How It Will Backfire As The Truth Is Uncovered. One of the reasons vaccine propagandists are so cognitively impaired is because they’ve all been partially brain damaged by the very same vaccines they keep pushing on everyone else. As a result, not a single one of them had yet come to realize how they’ve painted themselves into a corner with SB 277. Starting in 2016, the vaccination rate among California public schools will be virtually 100%. This, we are sternly told by professional vaccine propagandists, will halt all outbreaks of all disease. That’s what vaccines do, after all, right? They stop outbreaks of infectious disease. But readers of Natural News and other intelligent, independent new media publishers are already well aware that most infectious disease outbreaks occur among children who are already vaccinated! The pharma-controlled false narrative that “unvaccinated children are spreading disease” is just a marketing lie designed to convince more parents to pay for more vaccines. In truth, it’s the vaccinated children who are shedding viruses and spreading disease among each other — the kids who have weakened immune systems that have been suppressed by all the toxic chemicals intentionally added to vaccines (mercury, aluminum, MSG, formaldehyde, etc). Now here’s the kicker: When disease outbreaks start to occur this year in California’s public schools, those outbreaks will be happening among children who are nearly 100% vaccinated! There will no longer be a minority of “unvaccinated” children to blame for the outbreaks. In the post-SB 277 era, the fact that vaccines often don’t work will become abundantly obvious. And then the whole world will be able to confirm exactly what Merck virologists have already stated in a federal False Claims Act testimony: that vaccine manufacturers routinely fake their test results in order to continue to receive FDA approval for vaccines that simply don’t work! If clusters of mumps, measles or influenza begin to explode out of control among the vaccinated California children, the media will deliberately censor those stories, making sure no one hears about them. So even as the vaccines are failing, the pharma-corrupted media will think it’s more important to protect the vaccine industry than to protect the lives of children. Can’t have the public learning the truth about failed vaccines, can we? As one of the many technology pioneers and trailblazers of the new media, I’m launching a new search engine in just a few weeks called Good Gopher (www.GoodGopher.com). This search engine welcomes all new media outlets, bloggers and independent journalists to submit their sites for spidering and indexing. Mainstream media (i.e. propaganda) sources are banned from the engine. In other words, Good Gopher is about to become the internet’s only vaccine outbreak intelligence source where you’ll be able to monitor outbreak news in almost real time, as it is reported in the independent media and individual blogs. How do I know all this? Because as Natural News readers may recall, I’m the IT engineer who built science.naturalnews.com, a massive science research portal that aggregates published scientific studies on any two concepts such as health condition and an herb or nutrient that may help prevent it. I wrote all the code for the engine behind science.naturalnews.com using statistical correlation analysis of text, finding “signals” in the background noise of over 10 million published science documents retrieved from PubMed. You might recall that when I first announced science.naturalnews.com, I hinted that this same technology could be used to scour the internet and pull signals out of the background noise of web page content. Google does the same thing, by the way, as a predictive trends analysis for disease outbreaks. But Google has billions of dollars and unlimited human resources, whereas I built this content signal analysis system myself, with zero outside help. And since then, I’ve long been planning to apply it to online content, with the aim of conducting near-real-time meta analysis of keyword-described concept hierarchies, meaning being able to use a large crawl and indexing of online content as a “signal detector” for any particular concept logic tree you want to monitor. Needless to say, nobody in the vaccine industry is smart enough to build something like this because they’re all lazy propagandists who have never had to think for a living. So they won’t have the ability to do what we’re doing, which means we’ll have the intelligence data FIRST, even before the criminals at the CDC have any idea what’s happening. With your help, we’ll be able to identify outbreaks, report on them and spread the news before the CDC or the pharma-controlled mainstream media even knows what’s happening. They can’t control the spread of information anymore, so they can’t stop the spread of INFORMATION which is, ironically, far more viral than measles. How can you stay up on all this? First, if you’re a member of independent media, submit your site to GoodGopher.com so that we can spider it. If you don’t already have a site, start your own blog and submit that. When you see outbreaks happening in California schools, blog about it! Our engine will pick up your blog and begin to analyze it together with thousands of other blogs to determine trends and patterns. Thirdly, we’ll be announcing unique monitoring of vaccines, autism and outbreaks in California that leverage our powerful search engine technology to help expose the truth about vaccines for the benefit of the entire public. Watch for that announcement here on Natural News. Help spread the word: GoodGopher.com is where it all begins soon. It’s the world’s only search engine dedicated to fighting for YOU, the People, by applying technology to set you free rather than enslave you. And that’s why we will win. Because we are inspired by truth and compassion, fighting to protect children from the nefarious, criminal vaccine corporations and their bought-off political puppets in California. We will win because the truth is our ally… and the truth cannot hide from our collective efforts to reveal it.